RePack by elchupacabra — Russian / English registered and portable versions in one installer. 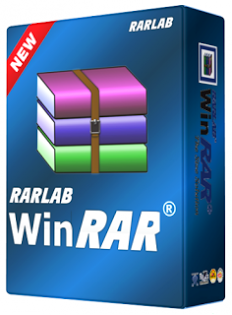 WinRAR is easier to use than many other archivers with the inclusion of a special «Wizard» mode which allows instant access to the basic archiving functions through a simple question and answer procedure. This avoids confusion in the early stages of use. Type: Installation | Unpacking the portable version (by PortableAppZ). Optional: automatic selection of x64 | x86. General: aRRis, S Black_Blue, Crystal, iMode, KasualRAR, OrgRar, OS_X, Reality, Senary RAR, Tangov, Windows 7 Ultimate, WinRAR_Jr, WinRAR_AlphaDista, AquaWorld, Bucket, CodeHammer. CartoonPink, CuteBag, Donuts, Fashion Pink, Sweety RAR. If you have already installed any version of WinRAR or you will remove the old version but do not restart your PC (or processes explorer.exe) do it, otherwise errors may occur during the installation process. If you are installing over previous versions, problem UNACEV2.DLL and it loader for Ace32Loader.exe for x64 associations with *will be deleted.aces are disabled and removed in the system registry. Ability to import settings from settings.reg (WinRAR.ini for portable version), user key pick-up rarreg.key, additional *.SFX modules, alternative rarlng language files.dll, automatically copy the contents of the Themes folder to the program folder, launch themes.exe (sfx-archive with themes). Of course, if all of the above is next to the installer. Size: 6,00 / 8,22 / 7,31 MB.